Your client doesn’t have to be a professional chef to enjoy a nice kitchen. ProSource® of Pensacola is dedicated to helping you create the perfect kitchen for your client, whether we’re helping with cabinetry, countertops, handles, or more. For your client’s kitchen remodel, we have the expertise and products needed to make it a great experience. Let’s make a dream kitchen together! 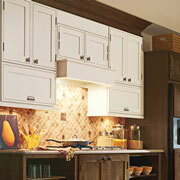 Where you cook and prepare food is completely transformed with new kitchen cabinets. Your client knows this, so they’ll spend a lot of time choosing the right cabinetry. Let our showroom experts help you determine the right style. 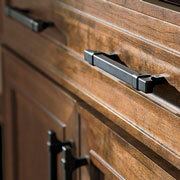 No kitchen cabinets are complete without cabinet hardware. Whether your client wants traditional or statement knobs, or something in between, we can help. Come to our showroom, and we’ll help them find the perfect knobs or handles. Granite, quartz, and recycled materials are some of our most popular countertop materials, but our wide selection is sure to meet any desire of your client. 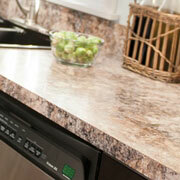 Kitchen countertops can be a great expression of personality, so have fun! If your client saw a farmhouse sink on Pinterest that they’re in love with, wants a granite sink, or even a triple-basin sink, we have it. 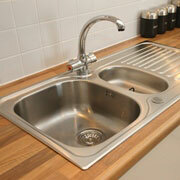 An expert can help you navigate our expansive kitchen sink options. 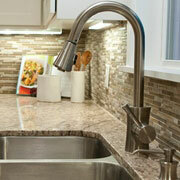 Now that your client has the perfect sink, get the perfect kitchen faucet to match. We have a wide selection of faucet styles, colors, and functions, so let us help with your kitchen remodel. We proudly serve throughout Navarre, Gulf Shores, Gulf Breeze, Perdido Key, Milton, Crestview, Cantonment, Niceville, Pensacola Beach, and Pensacola, Florida. The ProSource of Pensacola showroom is conveniently located in Pensacola, Florida and serves all of the neighboring cities including Bagdad, Baker, Cantonment, Century, Crestview, Defuniak Springs, Destin, Eglin AFB, Fort Walton Beach, Freeport, Gonzalez, Gulf Breeze, Holt, Hurlburt Field, Jay, Mary Esther, Mc David, Milligan, Milton, Miramar Beach, Molino, Navarre, Niceville, Pensacola, Santa Rosa Beach, Shalimar and Valparaiso.